MANY passengers fall victim to good intentions by trusting strangers to carry their bags or goods in domestic and international flights. They unwittingly become innocent mules for these unscrupulous people, who would step forward to reap the benefits, but fade away leaving the innocent passenger taking the fall when caught. The case of the Egyptian pilgrim, Saddiyah Al-Assi, who fell victim to such deceitful person when she accepted to carry a bag containing 17,000 drug pills, is still fresh in the minds of many. The old pilgrim was not aware of the contents of the bag when she accepted to carry it. Al-Assi was on her way from Cairo to Jeddah for Umrah. But was caught in Jeddah on arrival and detained for more than a month before she was released recently when a joint investigation between Saudi and Egyptian authorities proved her innocence. She was allowed to perform her Umrah and visit the Prophet’s Mosque before returning back home. Travelers should be forewarned that taking or carrying things that is not theirs does not clear them of any liabilities or penalties, for pleading ignorance is no defense. They should be aware that these devious people would lie, fake issues and also act in such a way to play on the sentiments of the people and force them to agree to carry their things. Many people find it difficult to say no to passengers, who beg them to take their bags while claiming that this way they would avoid paying for shipping. The softhearted find themselves weak in refusing the person’s plea for help and sob stories of strangers, not aware that the bag contained contents that were illegal in the country they are traveling to. If the passenger gets caught they will find themselves guilty or facing serious consequences while the provider of the content would be scot-free. Others, who heed this warning of not carrying stuffs given to them by strangers, take no chances and simply find any excuse to say no to strangers and refuse to carry any bag. Very few people agree to carry the bag on the condition of examining its content. And there are those who simply take it without examining the content just because a friend requested them to do so and later fall victim when caught. 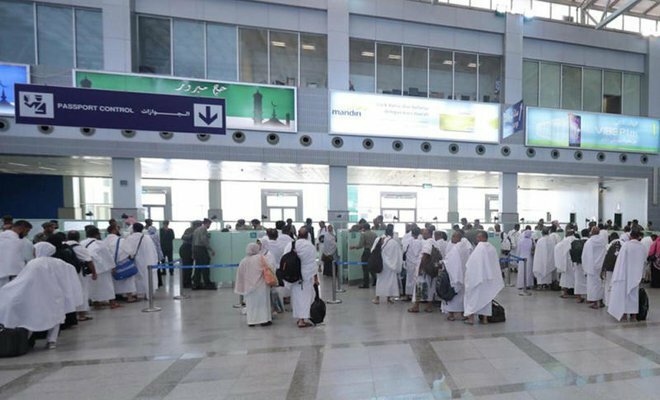 With the summer vacation just round the corner and the expected large number of people who would be traveling during and after Ramadan, Saudi Gazette interviewed a number of people who had faced such situations at local and international airports. “I do not mind helping strangers at the airport, including carrying their bags under my name, provided that I examine the contents of the bag. This is common as I travel back and forth between Saudi Arabia and Canada. I come across this situation many times during my travels,” said Walid Taweli, Saudi student in his late 20s who recently graduated from a university in Canada. Taweli recalled an incident that got him to be wary even if it was a friend who was requesting him to carry something. When his friend at the university asked him to carry his bag of gifts with him back to Saudi Arabia, the friend told him not to open the bag and check the content. Taweli suspected the intentions of his friend and opened the bag at home to examine the content and found a cosmetic crème inside the bag. Not knowing whether the item was accepted at Saudi Arabia, he had to research it, asking another friend whether this type of crème was allowed in Saudi Arabia. At the end, a friend who was expert in these matters told him that there was nothing wrong with it. “Since that time, I have learned to be careful even with friends and always examine the content before accepting the bag to avoid any future complications,” he added. Rami Khoja, a Saudi man in his 40s working in a private company in Jeddah, said, “Everyone has a deep knowledge whom they should trust based on their experience. I would trust my very close family but I will never trust a relative, stranger, and even a friend because I don’t know what their intentions are. Eventually, I have to see what I am carrying with me always to get an idea of what I have with me,” said Khoja. A Saudi woman, who did not wish to reveal her name, encountered a strange situation at the airport on her way to Dubai that made her think twice before accepting any stranger’s package or baggage. She said, “An Arab national, said that he was traveling on the same flight as me and as he had an extra bag did not want to pay extra baggage weight, and asked me if I could check it under my name. I love to help people, so I offered to pay for the charges of the extra weight so he could check it under his name, instead of mine. The reaction of the man was unbelievable, as he got angry and told me that he was not begging for money. She said that this incident opened her eyes and since that time, she has been warning her close friends and relatives not to trust friends and strangers who request in the last moment for their package to be carried or check in baggage under their name. For they could fall victims for their trust. 1- Examine the luggage before carrying it. 2- Read the contract you have entered into when you buy an air ticket. Some airlines may well restrict you from carrying luggage from other people. 3- Refuse to take any items from a stranger because it could contain illegal or counterfeit products. 4- Make sure you are familiar with the relevant laws of the country that you are traveling to. 5- If you are unsure about anything, you should get in touch with the competent authorities via its secure contact form. 6- Check if the item in question is legal in the destination country. 7- Make sure that the products are from legitimate shops and the person provides you with the bill of sale. 8- Avoid carrying any liquid and suspected material. 9- Avoid carrying any medicine or flammable items. 10- Refuse to take any document without having prior knowledge of what is on it. 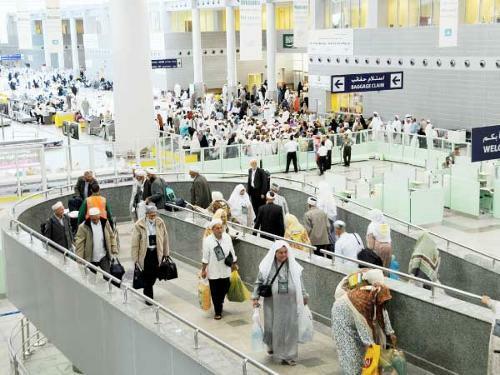 Riyadh — Umrah pilgrims who stay in the Kingdom after the expiration of their entry visas will be fined SR50,000 each and imprisoned for six months before deportation, according to the General Directorate of Passports (Jawazat). It called on all Umrah pilgrims to adhere to their travel schedules and leave the Kingdom before the expiration of their entry visas. The Jawazat said that those coming on Umrah visas are not allowed to travel outside Makkah, Jeddah and Madinah. It warned citizens and residents against transporting, employing, sheltering or hiding those with expired Umrah visas. A General Authority for Statistics (GaStat) report issued on Tuesday said that 19,079,306 pilgrims performed Umrah in 2017. The statistical report quoting the registered data of the Ministry of Haj and Umrah said that 6,532,074 Umrah pilgrims came from outside Saudi Arabia. The GaStat Umrah statistics bulletin for 2017 also showed that Ramadan is considered a top season during which Umrah is performed by people from inside Saudi Arabia, as 53.6% of total pilgrims performed Umrah in the holy month of fasting. RIYADH — About 82 percent of the Saudis prefer to perform Umrah in Ramadan, according to the results of a survey published by local daily Al-Madina. The survey was conducted by the National Center for Polls, which is an affiliate of King Abdul Aziz Center for National Dialogue. The survey, titled "Opinions of Saudis concerning the performance of Umrah in Ramadan", said about 83 percent of the respondents said they were planning to perform Umrah this Ramadan. Asked if their decision to perform Umrah this month was final, about 73 percent of them answered in the affirmative. This means 7 out of 10 Saudis have traveled or are planning to travel to Makkah during the holy month of Ramadan to perform the Umrah. The Prophet Muhammad (peace be upon him) has been quoted as saying in a Hadith that performing Umrah in Ramadan is equivalent (in reward) to performing Haj with him. The survey said about 76 percent of the Saudis were keen to perform the Umrah every year and that about 82 percent of them prefer to perform the ritual in the fasting month. About 13 percent of the surveyed said they prefer to fly to Jeddah and then travel overland to Makkah while 5 percent said they prefer to drive themselves to the holy city. According to the survey, about 66 percent of the Saudis spend less than SR1,000 to perform Umrah while about 8 percent said they spent more than SR5,000. The survey said the average amount the Saudis spend on Umrah is about SR1,200. According to the survey, 6.7 million people from Makkah, 38 percent of them Saudis, performed Umrah so far this Ramadan. 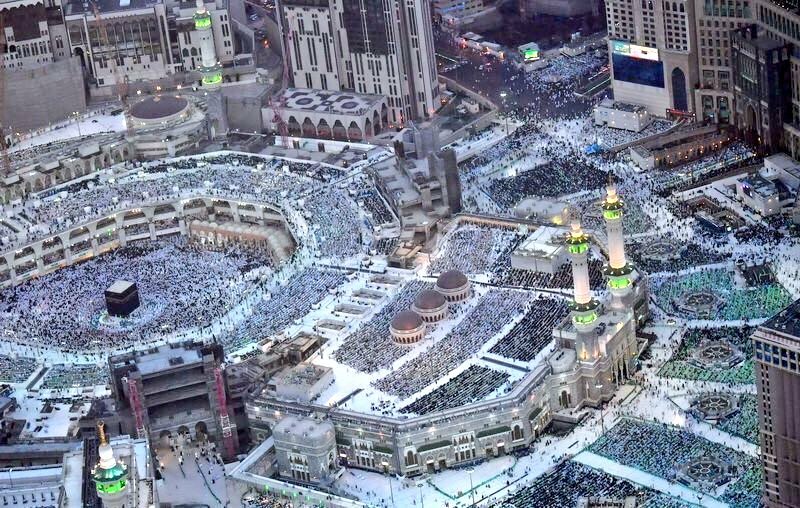 The total population of Makkah in 2017 was about 8.6 million. About 1.9 million people from Riyadh, 52 percent of them Saudis, performed Umrah. The number of Umrah pilgrims from the Northern Border Province was 34,000 and about 66 percent were Saudis. The survey said as many as 817,000 residents of Madinah performed Umrah during Ramadan of whom about 46.5 percent were Saudis. There were 855,000 Umrah pilgrims (52.5 percent of them Saudis) from the Eastern Province. The General Authority for Statistics (GaStat), meanwhile, released the statistics for the 2017 Umrah season. According to the report, the total number of Umrah performers in 2017 was 19,079,306 performers, of whom 6,532,074 came from outside Saudi Arabia. On the other hand, the total number of domestic Umrah performers, including Saudis and non-Saudis, during the year hit 12,547,232. The ratio of Saudis among domestic Umrah performers was 46.9 percent against 53.1 percent non-Saudis. The statistics showed that Ramadan is the top season during which Umrah is performed by people inside Saudi Arabia, as 53.6 percent of total domestic Umrah pilgrims last year performed the ritual in Ramadan. JEDDAH — The Ministry of Haj and Umrah will for the first time provide bunk beds to South Asian pilgrims in Mina tents. 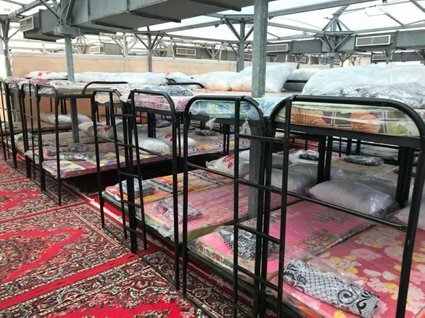 During a visit to one of the camps in Mina, Minister of Haj and Umrah Muhammad Saleh Bantan said the ministry decided to use the bunk beds for the comfort of pilgrims and not for the reason of accommodating more pilgrims. The ministry ensured that the bunk beds meet safety standards. Bunk beds have several advantages. They provide more space inside the tents. Pilgrims can use the space under the beds to place their luggage and personal items. The minister said bunk beds will be used in the tents of South Asia pilgrims. These will be used in the tents of other pilgrims if the experiment is successful. Bantan directed all tawafa establishments to comply with maximum health requirements with respect to pilgrims’ meals. Bunk beds have several advantages. They provide more space inside the tents. Pilgrims can use the space beneath the beds to place their luggage and personal items. MAKKAH — Hotel charges in Makkah have gone up this Ramadan by 80 percent compared to the previous lunar month, market sources said. The charges for a hotel room during the last 10 days of the holy month are in the range of SR800 to SR1,000 per night. “These are the charges for hotel rooms that are not located adjacent to the Grand Mosque. Hotels in the close vicinity of the mosque are charging SR1,500 for a room,” Al-Madina Arabic daily reported on Monday quoting well informed market sources. Market analysts believe that the hotel and furnished apartment sector in Makkah would make a revenue of SR700 million this year with hospitality firms inside the Central Area of the holy city taking 70 percent of this revenue. Hani Al-Omairi Al-Hadli, an investor in the sector, said charges for hotels located in the Central Area range between SR900 and SR1,500 per day while those located a bit far away from the Grand Mosque are charging between SR800 and SR1,200 for a room per night. “All hotels in Makkah are fully booked for the last 10 days of Ramadan and they have closed their booking,” Al-Hadli told Al-Madina Arabic daily. Hotel charges will decline depending on the distance from the Grand Mosque, he pointed out. Salim Al-Matrafi, another investor in hotels, said single star and double star hotels in Makkah charge SR8,000 for a single room for the whole month of Ramadan. “Occupancy rate of hotels located away from the Grand Mosque is between 40 to 60 percent. However this will go up in the last 10 days of Ramadan,” he explained. According to Faisal Al-Sharief, director of Saudi Commission for Tourism and National Heritage office in Makkah, there are 1,200 licensed hotels in the city with 90,000 rooms which can accommodate one million pilgrims in a month during Umrah season. “We have deployed a number of teams to inspect hotels and furnished apartments to check their charges, facilities and quality of services,” Al-Sharief told Al-Madina. “They also solve the problems facing pilgrims and other guests,” he added. 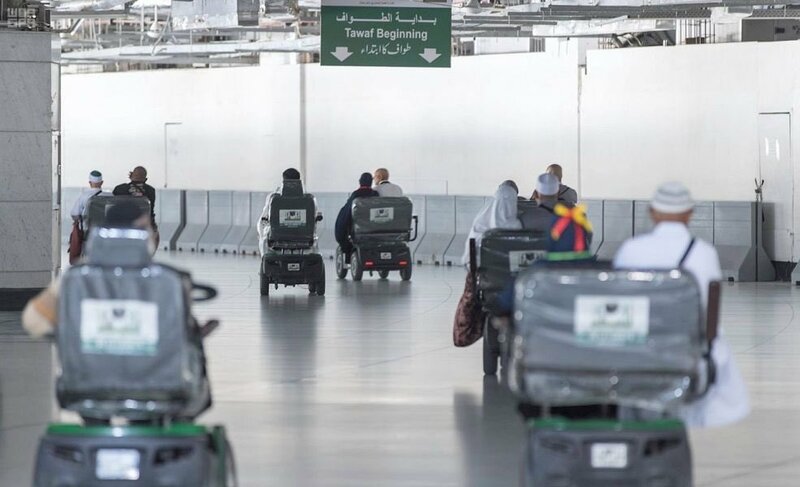 MAKKAH — The General Presidency for the Affairs of the two Holy Mosques has said it implements strict safety regulations on its electronic scooters. Head of transportation services at the presidency Saleh Howsawi said scooters exist to help the elderly and people with special needs during Tawaf (circumambulation of the Holy Kaba) and Sa'ee (back and forth movement between the hills of Safa and Marwah). “The rate of accidents caused by the electric scooters is hardly mentionable. Children are never allowed to use them. All scooters are given and operated under our supervision. We have a team of 168 supervisors and technicians in the mosque. We organize the movement of 700 scooters,” said Howsawi. He added the scooters have a limit. They shut down after 40 km, which is enough to perform sa'ee. Users can complete three full rounds of the pursuit. “The scooters are accessible through four gates: Al-Shabikah Gate, Ajyad Bridge Gate, Al-Arqum Stairs Gate and Al-Marwah Gate. We also have more than 3,000 Saudis helping the users and guiding them through the mosque,” said Howsawi. He also said there are electric scooters in other areas of the mosque as well. “There is a total of 8,700 scooters placed at various locations. We have put up signs directing the pilgrims. We also printed QR codes on the signs so pilgrims can scan the code and be directed toward the pickup points of the scooters,” said Howsawi. 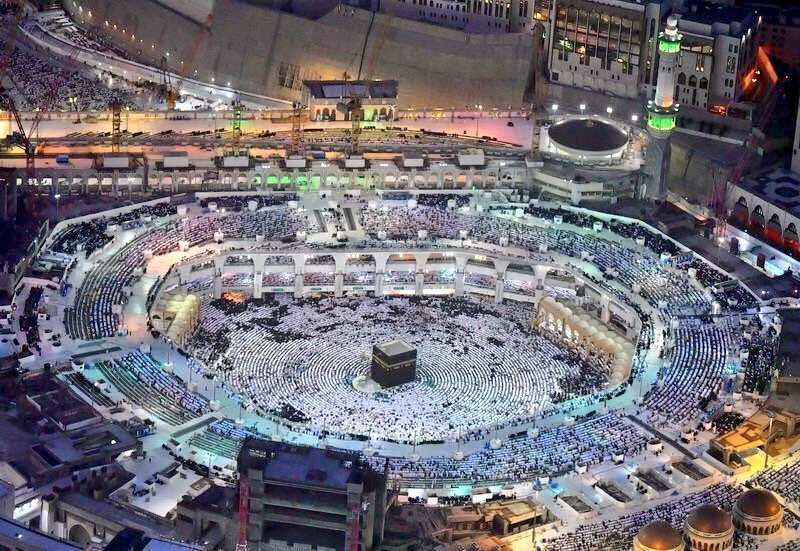 MAKKAH – Hotels in the central area of Makkah have witnessed record occupancy rates in the last ten days of the holy month of Ramadan when a large number of pilgrims and worshippers converge on the Grand Mosque to perform Umrah and taraweeh prayers. “All hotels in the vicinity of the Grand Mosque had 100 percent occupancy and booking,” said a market analyst while speaking to Okaz/Saudi Gazette. The price for a double room, including iftar meal, has reached SR27,000 for the last 10 days of Ramadan. 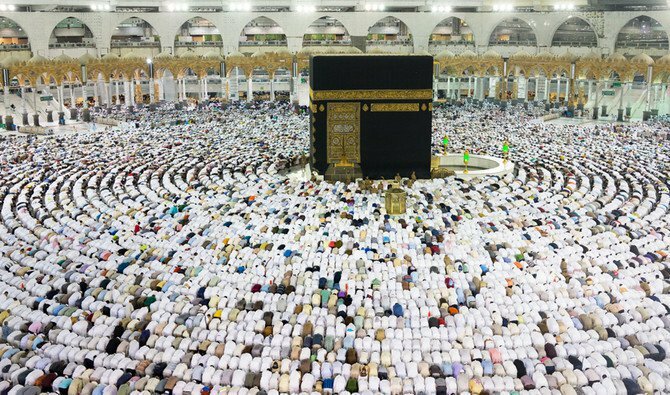 He said the charge for a three-bed room would go up to SR32,000 and for four-bed room SR36,000 in the last 10 days of the month when the crowds of worshippers reach their peak. Market analysts said the prices of hotel rooms go up depending on their proximity to the Grand Mosque. “We have 810 rooms in our hotel and all are either occupied or booked,” said Rida Chalabi, reservation manager at a major hotel in the central region of Makkah. Prices of rooms range from SR2,500 to SR4,800 for a single room with iftar. The price for a double bedroom has reached SR2,000 per night while the price for a room for three persons is SR2,600 and four persons SR3,100. The price for a double bedroom for the last 10 days of Ramadan reached SR27,000, three-bedroom SR32,000 and four bedroom SR36,000, the official said while speaking to Okaz/Saudi Gazette. “The price includes iftar,” Chalabi said, adding that all rooms in the hotel have been sold out for the last 10 days of Ramadan apart from semi-confirmed bookings made by prominent businessmen and businesswomen inside the Kingdom and abroad. Mashhour Al-Omairi, an investor in hotel reservation and tourism, said most hotels that are located adjacent to the Grand Mosque charge the same prices. The price for a suite overlooking the Grand Mosque is SR70,000 while it is SR44,000 for a triple-bed room and SR37,000 for a double bed. “We charge SR660 for an additional bed, SR400 if the room is facing the Grand Mosque and SR600 if it overlooks the Holy Kaaba,” Al-Omairi said. Mansour Al-Hazmi, a receptionist at a hotel located in the central area, said occupancy rate has reached 95 percent this Ramadan compared to 80 percent last year. The price for double bedroom starts from SR1,700 per night, three-bed SR2,200 and four-bed SR2,400. “The price includes iftar and charges for transport between the hotel and the Grand Mosque,” Al-Hazmi told Okaz/Saudi Gazette. “Our rooms are fully booked for the last 10 days of Ramadan and we charge prices ranging from SR25,000 to SR31,000 for the 10-day package,” he added. Over two million worshipers thronged the Grand Mosque in Makkah and the Prophet’s Mosque in Madinah on Monday, the 27th night of Ramadan, which is widely believed to be Laylatul Qadr, the Night of Power. The Two Holy Mosques and their courtyards were overflowing with the faithful who came to offer Isha and the special night prayers of Taraweeh and Qiyamullail, seeking Allah’s infinite blessings, expiation of sins and forgiveness. The Holy Qur’an was revealed to the Prophet (peace be up on him) in the Night of Power which is better than a thousand months. 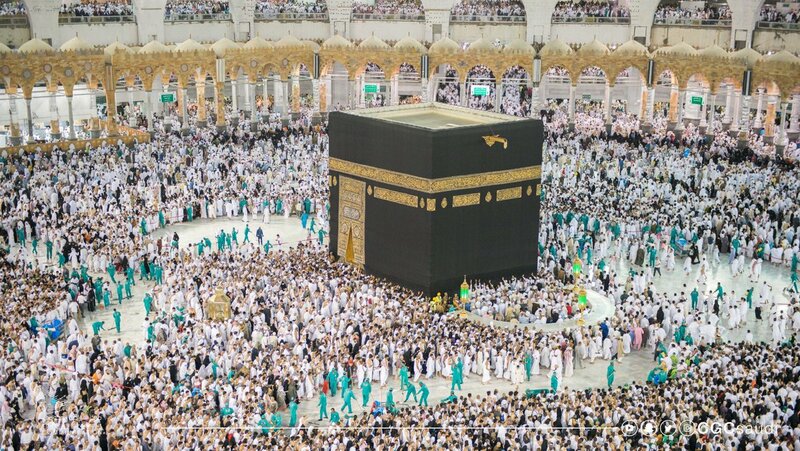 The Saudi authorities have ensured elaborate and flawless security arrangements for the smooth flow of worshipers so as to enable them to spend the night in a highly spiritual and serene atmosphere. 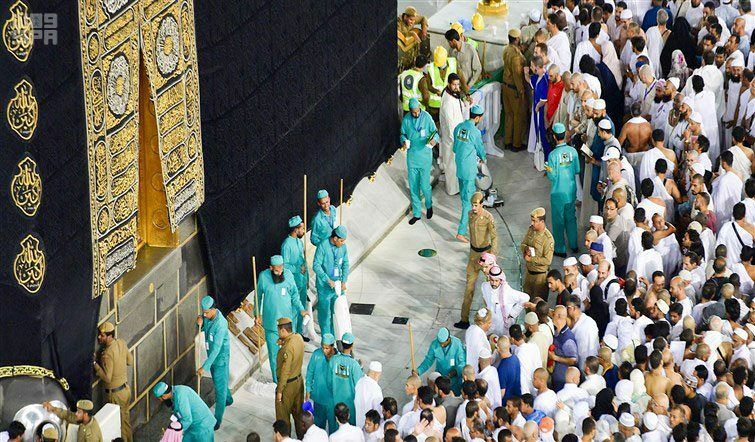 MAKKAH — The Carpet Cleaning and Sterilization Administration at the Grand Mosque has achieved a new record time of 9 minutes and 47 seconds in cleaning the Mataf (circumambulation area around the Holy Kaabah) after Maghrib prayer of the 27th night of Ramadan, Saudi Press Agency reported on Tuesday. The plan focused on systematic cleaning of the locations immediately after Maghrib prayer. 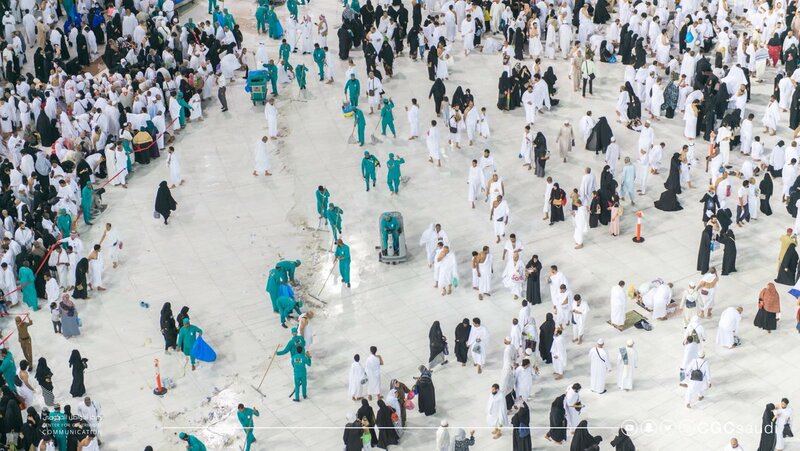 This included cleaning the Mataf, the carpets of the Grand Mosque and the whole piazzas, intensifying the collecting of garbage manually throughout the night with continuous perfuming of the main entrances, walkways and the prayer areas within the Grand Mosque and in its courtyards (piazzas). Al-Jabri added that on the night, 291 tons of garbage was collected and transported from within the Grand Mosque and its piazzas. The number of employees exceeded 300, including 100 employees for providing Iftar to worshipers. The male and female workers totaled 3,000. They worked round the clock in shifts. He said the administration with all its personnel is ready to serve the Grand Mosque and its visitors. MAKKAH — On the 27th Night of Ramadan 1439H, the Grand Mosque registered a record peak load of 118 MVA, with an increase of 14 percent compared to the peak load registered last year. Despite the sharp rise in temperatures in all regions of the Kingdom, Saudi Electricity Company (SEC) was able to overcome the new peak load at the Grand Mosque, SPA said Tuesday. It confirmed that its new projects in Makkah Province this year, whose cost exceeded SR100 million, the technical plans for managing emergency teams and preparations made throughout the previous months have succeeded in enhancing the credibility of electricity service during the Umrah season and the holy month of Ramadan. SEC added that the experience of the well-trained Saudi staff in the management and operation of electricity emergency teams, use of the latest technologies including DAS and FFMS contributed to reducing power outages to the minimum. This is with the aim of providing the best services to visitors of the Grand Mosque and everything conducive to their comfort and performing their rites with ease and peace of mind. Manama: In the second suicide case in one week at the Grand Mosque (Haram Mosque) in Makkah, a Bangladeshi man threw himself to death from the first floor into the Kaaba circumambulation area where worshippers were circling the sacred edifice or waiting for prayers. He fell on a Sudanese man in his fifties who was praying, causing him serious fractures and injuries. He was taken to the nearby Ajyad hospital then to Noor Hospital for treatment, Saudi news site Sabq reported. Security forces checked the surveillance cameras and noticed that the Bangladeshi man jumped over the fence on the first floor and committed suicide. Last week, a Frenchman, 26, committed suicide at the Grand Mosque by jumping from the rooftop. MAKKAH — The Ministry of Haj and Umrah has warned all domestic Haj companies against advertising VIP services to pilgrims and asked them to stay away from exaggerating the level of services to be extended to the guests of God. The ministry told the companies only to publicize their commercial names, registration numbers, the number of the pilgrims they are allowed to serve, their address in Mina with the classification of the camps and their capacity. It said the companies could promote train transport to pilgrims between Makkah and the holy sites. The ministry, on the other hand, said it would start receiving applications from citizens and expatriates for the Haj starting Saturday, the first day of the Hijri month of Dhul Qada. There will be three categories of pilgrimage, which are the general Haj, the low-cost Haj and the Muyasser (facilitated) Haj. The ministry said the handover of the tents will begin on Dhul Hijja 14 (Aug. 25) and continue until Dhul Hijja 20 (Aug. 31). The ministry will hand back all the tents in Mina to the Public Investments Fund of the Finance Ministry after the end of the Haj season. The last date to hand back the tents in Arafat to the Makkah Municipality will be Dhul Hijja 15 (Aug. 26). JEDDAH — The Pakistan Haj Volunteers Group (PHVG) has prepared two mobile applications for the guidance and assistance of the pilgrims. These applications are free and can be downloaded easily. “MINA Locator” is made for Android smart phone mobile users and it can be downloaded from Google Play Store. For iPhone mobile users “Haj Navigator” has been prepared and it can be downloaded from Apple Store easily. All information regarding the Camps (Makaatib), Jamaraat, Train Stations, Slaughter House, Hospitals and clinics, Civil Defense, Roads, Zones in Mina are available in these applications. Mina Locator application is available in six languages i.e. Urdu, English, Arabic, Bengali, Hindi and Malayalam. While Haj Navigator is available in seven languages i.e. Urdu, English, Arabic, Bengali, Turkish, French and Indonesian Basha. Another important feature of these applications is that if the map of Mina is already downloaded then these can be used without any Internet connection any time. In previous years thousands of pilgrims have used these applications during Haj and found these very useful. PHVG volunteers have updated these applications for their Haj operation 1439H. PHVG has also developed another application “PHVG Razakar” for its volunteers and for all those who would like to join PHVG as volunteers. In this application all required information regarding the registration, recruitment, training of volunteers, their team details, accommodation and scope of work are available. These applications are developed by PHVG volunteers to provide assistance and guidance to the pilgrims in Mashaa’r e Muqaddasah specially in Mina where all the pilgrims stay in their camps from 7th Zilhaj to 12th Zilhaj to perform their Haj.